ForeScout’s acquisition of SecurityMatters now delivers the industry’s first, and only, end-to-end agentless device visibility and control platform across the extended enterprise. But what does that mean for you? 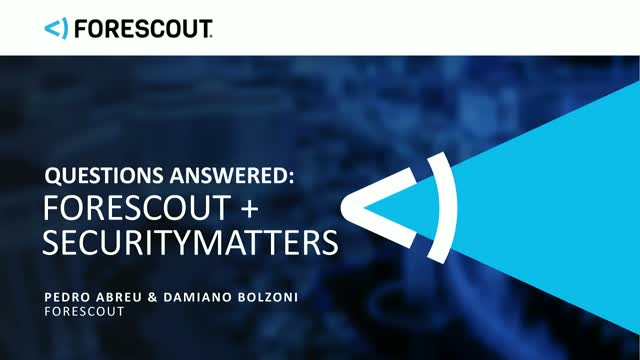 Watch as ForeScout SVP Pedro Abreu and VP Industrial and OT Business Damiano Bolzoni discuss market forces driving the acquisition and how our joined forces enhance security through visibility across the entire enterprise. A question and answer session will follow.